Get important documents notarized – at any Amscot, anytime. Customers who’ve never had to have a document notarized before are usually relieved to know this service can be performed at any Amscot, anytime, 365 days a year. Simply bring a photo ID. 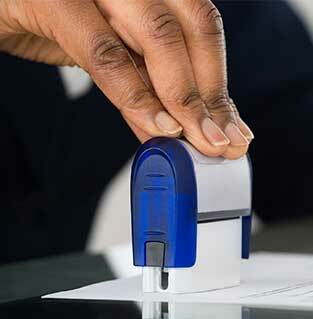 Many legal documents require the presence of a Notary Public before they can become legally binding. From Contracts to Affidavits … from Wills to Trusts … a Notary Public serves as an impartial third-party witness in order to confirm that all parties signing the document are doing so willingly and under their own free will. Please call 1-800-801-4444 or see an associate for detailed pricing.